The citywide street lighting control solution is developed for smart controlling both modern individually controlled LED luminaires and older luminaires. Luminaire groups can function autonomously relying on sensors and configured rules. The system is managed by central web and map based software. Project is supported by European Regional Development Fund with up to 203400 euros. 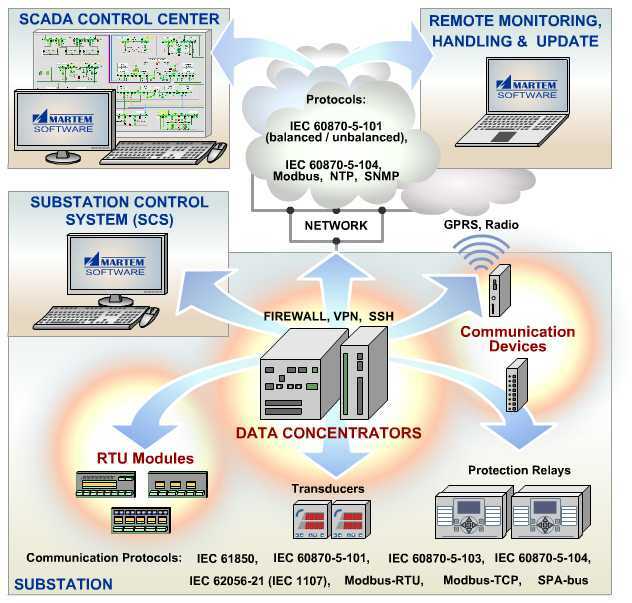 Martem - clear and convenient solutions for remote control and monitoring of the electric power distribution. Our products conform to widely used other manufacturers' devices (Siemens, ABB, Schneider, etc). We provide systems that can be quickly customized to your needs. Our telecontrol system and devices are easy to set up, configure and maintain. System and devices can be configured remotely by our specialists or by the user. Martem continuously develops better solutions to provide customers with high quality devices. Controls street lighting power feeders. Communicates with central system via 4G/3G/2G GPRS interface. Works autonomously according to configured rules. Serves as a gateway for luminaire controllers.